If there is anything that all kids are great at its announcing awkward facts about their parents in crowded settings. Just imagine how much fun they could have with a megaphone. Everyone is so distracted these days. We're constantly checking our Twitter and listening to music. It's a challenge to fully embarrass mom and dad in the all-encompassing ways of the old days. 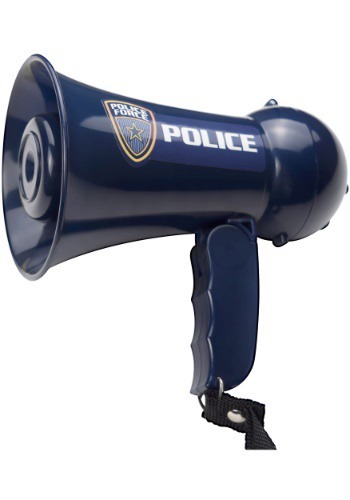 So, next time little Timmy or Tanya wants to announce harsh yet true commentary about the strangers behind them in grocery store line they can use this megaphone to be sure that no one misses a word. Okay, okay. 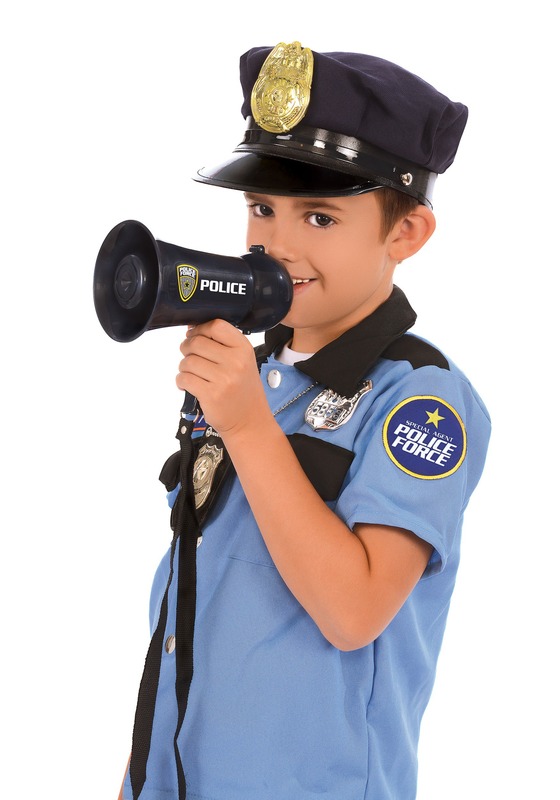 Maybe this megaphone ought to be used for Police business only. That'll be better for all parties! The size is perfect for your kiddos whether they're in full costume or plain clothes. 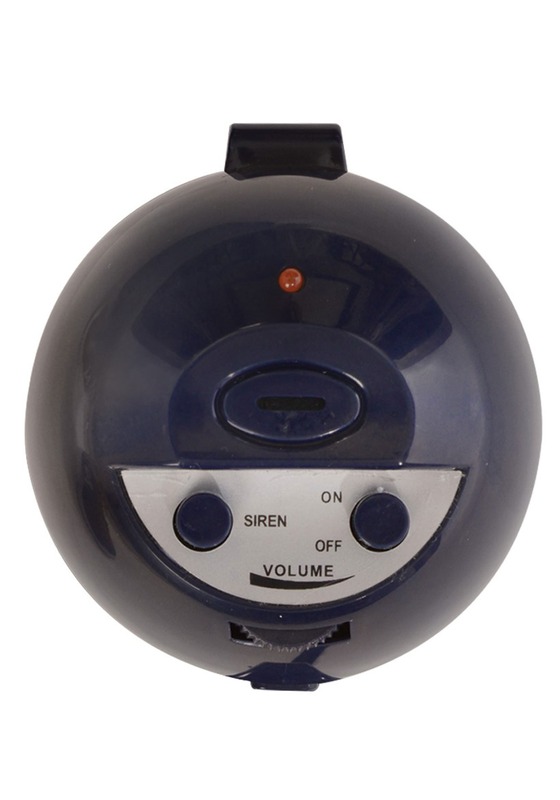 The back has a rolling volume tab, a siren button, and the all-important on and off button. 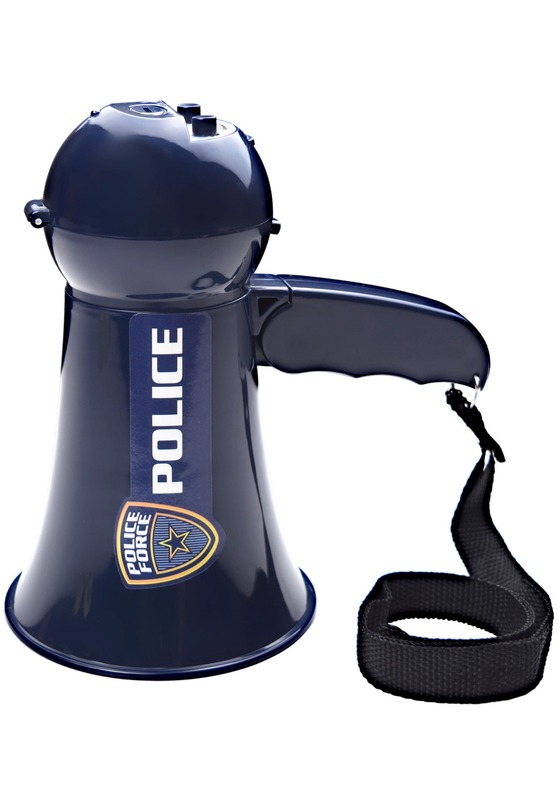 There is even a strap so your police-kid can keep this megaphone on hand while still being able to hold the candy bag nice and wide.